Money back with every purchase, whether you're shopping in store or online! 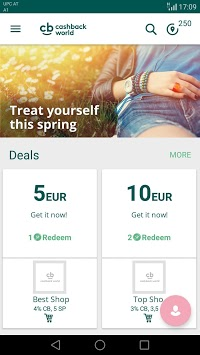 A simple way to collect Cashback and Shopping Points while you're out and about: the Cashback app offers you a whole lot more than just Cashback every time you shop. 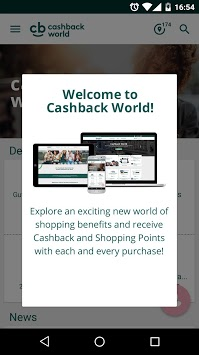 The Cashback World also gives you the chance to save money while shopping. With our Loyalty Merchant's exclusive offers and Shopping Point Deals, you receive a whole host of ways to secure discounts on top of Cashback and Shopping Points. 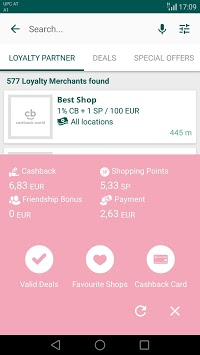 The Cashback App allows you to use your smartphone to enjoy shopping benefits at thousands of Loyalty Merchants.